On December 31, 2013, thousands gathered to celebrate the 20th anniversary of the Zapatistas’ armed uprising. On December 31, 2013, the Good Government Council of Oventic received people from the surrounding indigenous Tzotzil and Tzeltal communities, as well as those who came from other corners of Mexico and the world, to celebrate the 20th anniversary of the Zapatistas’ armed uprising on January 1, 1994. Out of the five Zapatista caracoles, Oventic is the closest to the city of San Cristóbal de Las Casas, the cultural center of Chiapas. It serves as the meetings place for many international visitors and for those who come to celebrate the new year in solidarity with the Zapatista movement. Yet, unlike most years, Oventic was overflowing with visitors. Not only was it the 20th anniversary of the armed uprising, but thousands of students attending the second and third rounds of the escuelita, the little school of liberty, had recently arrived in Zapatista territory. It was a joyful celebration, full of rebellion and color, in spite of the fog’s attempt to hide the lively murals on the walls of Zapatista offices or the rainbow of colors on the traditional Tzeltal hats. The musical group Los Originales de San Andrés began to play on stage as night fell, their revolutionary ballads tracing the past and present of the Zapatista Army of National Liberation, known as the EZLN. This narrative ballad style, called corridos, has a long history in Mexico. It is perhaps the best format for telling the story of the Zapatista struggle: from the organization’s inception on November 17, 1983, to the 1994 uprising and occupation of five Chiapas municipal government offices, all the way through the bloodiest battles, such as battle of Ocosingo, and the sad, widely-mourned death of Subcomandante Pedro, one of the movement’s leaders. The lyrics to their songs also explain how the Good Government Councils began 10 years ago and how they are organized today. The last two songs performed by Los Originales were dedicated to the 20 years of devastation and displacement caused by the North American Free Trade Agreement, which was signed by Mexico, the United States and Canada on January 1, 1994, at the behest of transnational corporations. On January 1, 1994, the Zapatista Army of National Liberation rose up in arms against the Mexican government, at the time headed by Carlos Salinas de Gortari, and against an unjust, neoliberal social system. While those in power toasted to the promises of modernity and the enactment of the North America Free Trade Agreement, on January 1, 1994, the Zapatistas launched a 12-day armed insurrection against the Mexican army. The demands of these indigenous Mayan communities were no less than a new world with work, land, housing, food, health, education, independence, liberty, democracy, justice and peace. Their objective was to to attain these basic demands with a free and democratic government. Although the EZLN issued a communique saying that mass media journalists would not be welcome at the festivities, they arrived anyway, ready to evaluate the Zapatistas’ advances and shortcomings and to photograph the faces covered by ski masks or bandanas. The organization has been judged and analyzed by myriad commercial media sources in Mexico. Despite never having spent a significant amount of time with them and not having followed their trajectory over the decades, the media has published long specials and supplements about their achievements and their errors, pulling out archived photos and old interviews with the so-called spokesperson of the organization, Subcomandante Marcos. Some outlets even featured interviews with his supposed girlfriends. However, it isn’t easy to capture the essence of this movement, which is one of the reasons that they began inviting thousands of outsiders to the escuelita so the world could witness the movement’s progress unmediated by mainstream media. At the new year’s celebration, the Zapatistas continued to tell their own vision of this nuanced history — their story, their errors and their lives and deaths — through the voice of Comandante Hortensia. Today, 20 years later, Zapatista communities have their own autonomous governments at the local, municipal and regional levels, and the community has no interaction with the official Mexican government. “Whether it’s done well or badly, the government represents the decision and the will of the people to choose their own authorities and to take away their authority when necessary,” she added. During her speech on behalf of the Zapatista leadership, Hortensia highlighted the organization’s achievements. One of the most important: The community has begun to live its own version of autonomy and liberty. “This is the building of our own autonomy, this is democracy, liberty, equality, and justice in action, and it continues on its path and nothing can stop it,” she said. One January 12, 1994, the Mexican government declared a unilateral ceasefire in Chiapas as a first step towards peace negotiations. The EZLN agreed to participate in the negotiations, but its conditions and demands were never met by the Mexican government. Instead, the organization set out to meet its needs on its own, and began building autonomous programs to fulfill their demands. Meanwhile, the army and the paramilitaries never left the state of Chiapas. Even today, these forces continue a fierce secret war of counterinsurgency. In spite of the ceasefire declared in 1994, which the EZLN has honored, the Mexican government has instead sought to eliminate and intimidate the communities that act as the base of support for the EZLN. As Hortensia recounted on new year’s, the government’s paramilitaries and politicians have harassed, provoked, displaced, threatened, and robbed the EZLN’s bases of support. Today, the government is trying to force the Zapatistas off the lands they recuperated from plantation owner and cattle ranchers during the uprising in 1994, and those who resist displacement are sometimes jailed and even murdered for defending themselves. 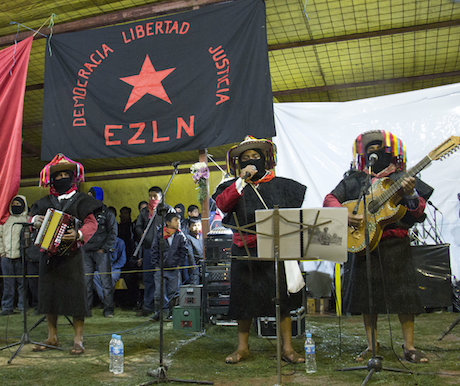 To enrich and strengthen their resistance and autonomy, the Zapatistas have invited three rounds of students for the first level of the escuelita. In total, approximately 6,700 people from all over the world have come and spent five days living with Zapatista families, sharing their homes, listening to their stories and experiencing their autonomy. 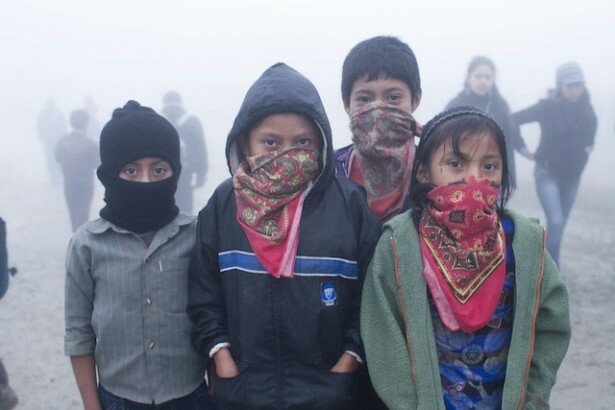 The Zapatistas know that the government will continue to attack their movement. 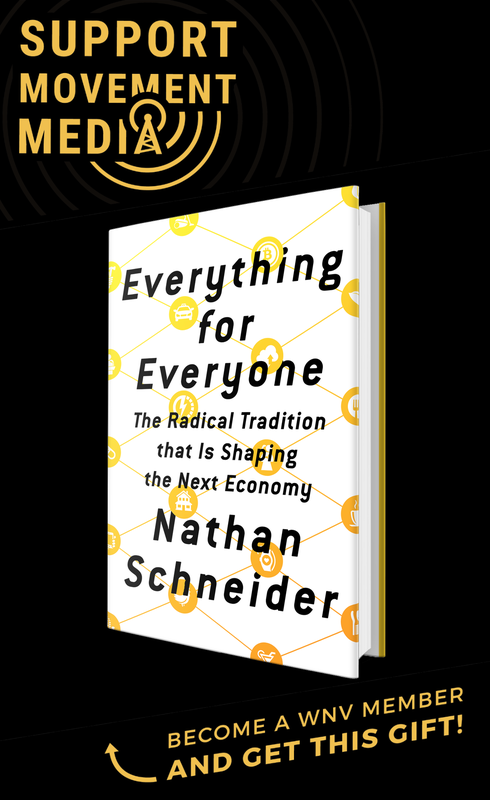 But, the movement is also confident that it is supported by people across the world who agree with, and want to further, this vision of autonomy. The Zapatistas are convinced that there are thousands of men and women, children and adults, representing all races, languages, levels of society and cultures throughout the world who are ready and willing to fight for a better world wherein many worlds are possible, where liberty reigns, and justice is a right for all. And now, more than 20 years after first launching onto the global stage, the Zapatistas are continuing to work towards this goal, autonomously, without depending on the government. More please–yours or others’—on how the Zapatista and other local or regional struggles are part of a global movement. 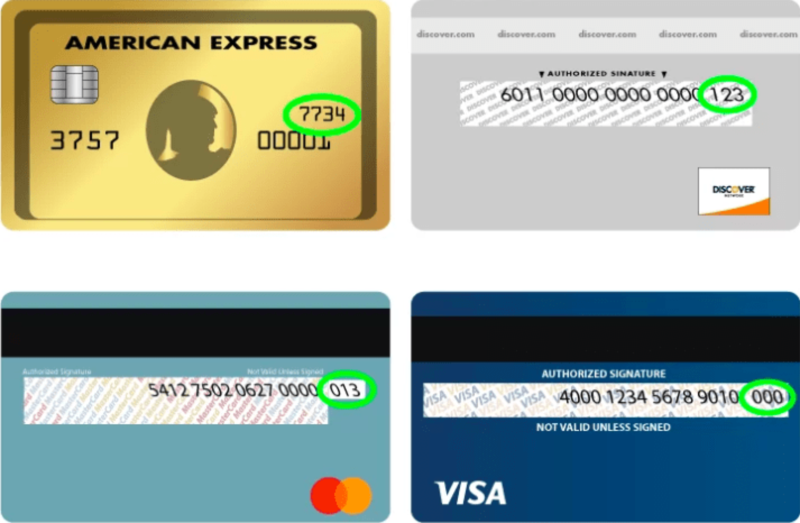 Recognizing that connection, some folk experiencing local setbacks might be less demoralized. “Think globally, act locally” is ever-fresh. Ah yes, the zapatistas. that group manipulated by a white college professor.